The 5th Avenue Donald Deskey lamps are dwindling down to a precious few. The Queen of Avenues has always had, until now, a distinctive lamppost designed for exclusive, or near-exclusive use. 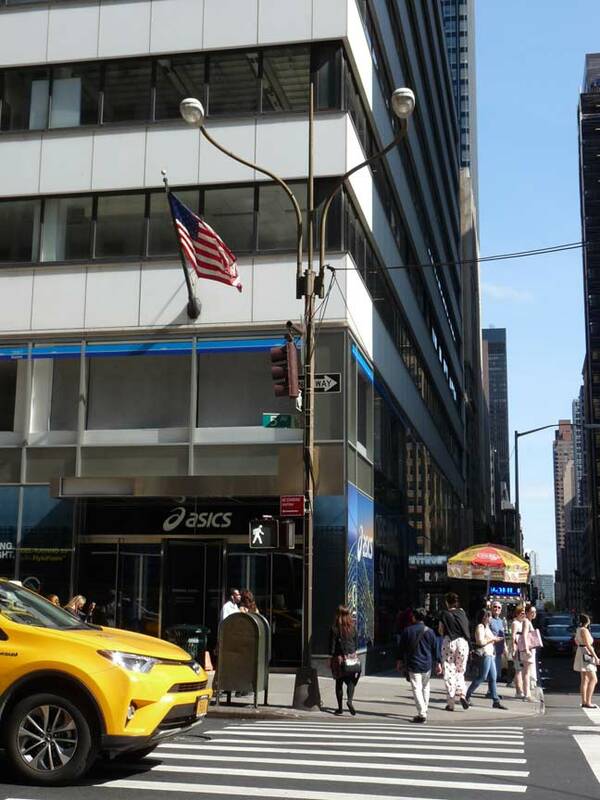 In 1892, the first electrically-powered Twinlamp appeared, and the design, along with some variant forms, held position on 5th Avenue all the way to 1965. That year, a special variant of the Donald Deskey slotted shaft post took over for the Twins. 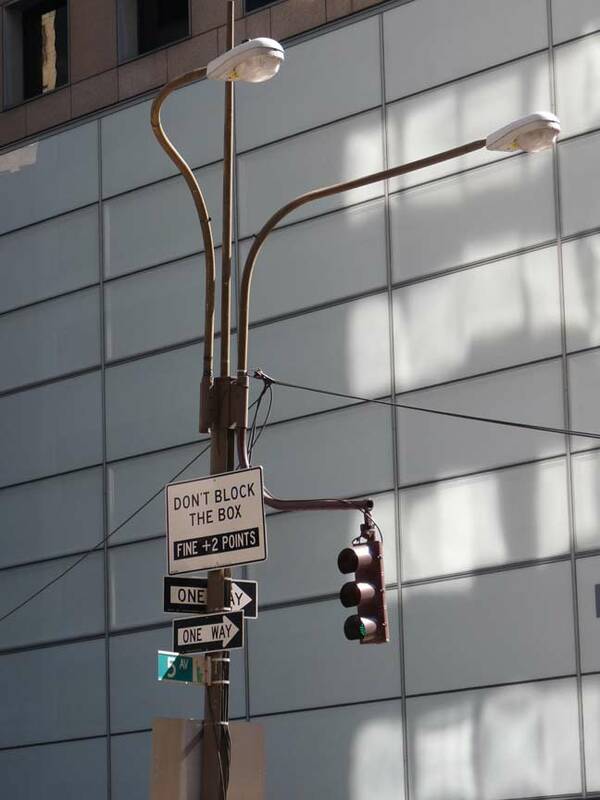 The original single-lamp Deskey first appeared on Broadway in 1958 and by the mid-1960s, held sway in many neighborhoods and especially on parkways and expressways. Invariably they were colored silver, like their octagonally-shafted counterparts. The 5th Avenue Deskey first appeared in 1965 and truly looked like an ungainly beast, with two cobra necks and a modular attachment that could hold stoplights, fire alaarm indicator lamps, flags and other additions. The advantage of the slotted mast was that it could be adapted in a number of ways; the 5th Avenue Deskey was really an original Deskey that was severely modified and painted a copper color. In 2008 I surveyed 5th Avenue to see where the remaining Double Deskeys were, and found a still-healthy amount mostly concentrated in the 50 streets. The original run went from 32nd Street north to 61st. A 2016 walk on the Queen of Avenues found the double Deskeys dwindling down to a precious few. When one fails, or is felled by a truck, the department of Transportation replaces it with whatever is laying around in the yard, which is usually a conventional octagonal pole.